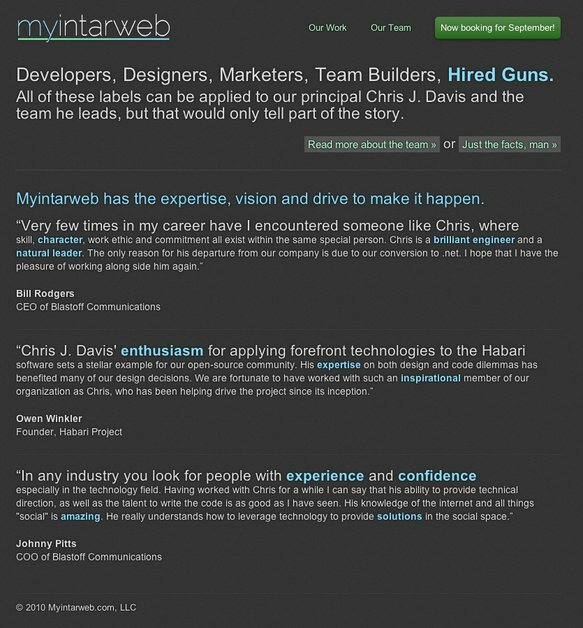 Myintarweb is a small, but powerful, full service consultancy and development shop. We specialize in social software and beautiful, tasteful design. Our team members are published authors, open source advocates and international speakers. Whatever your project Myintarweb has the expertise, vision and drive to make it happen. Myintarweb is a full service consultancy, design and development shop. If it happens on the web, we are expert in it, can design it and build it. Period.